Tuck’s 53 faculty members are world-renowned scholars and teachers whose work is aimed at a business-oriented audience: colleagues and academics who read their research papers, students who take their courses, and practitioners out in the business world. But their knowledge has a utility in everyday life, too. Business is, after all, people-oriented. If we can become more aware of our biases, or more methodical in our approach to all kinds of challenges, or even more mindful of who we are, everyone benefits. 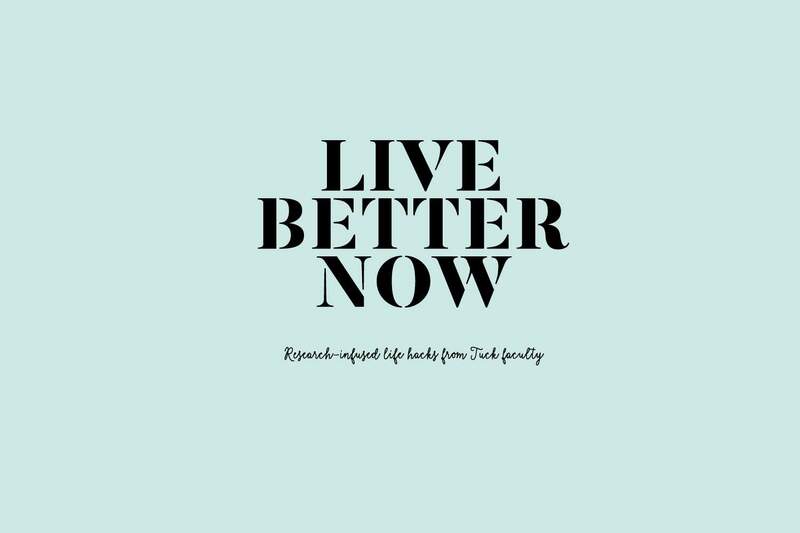 To that end, here’s how five Tuck professors can help you lead a better life. 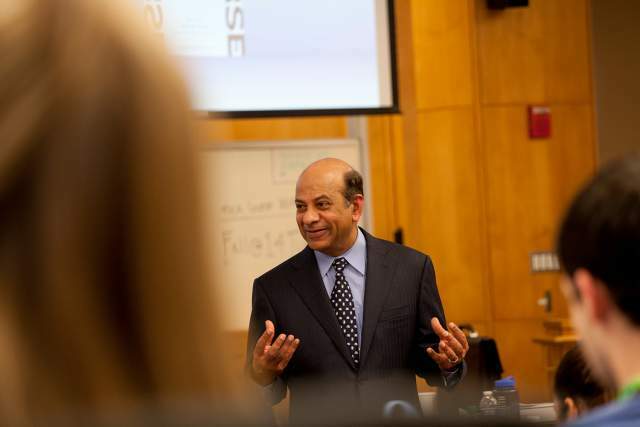 VIJAY GOVINDARAJAN has made a career of advising companies on how they can gain or maintain market leadership through strategy and innovation. In fact, for him, strategy and innovation are practically the same thing. That’s because strategy looks to the uncertain future and charts a course based on the best guess of what might change—innovation is how companies respond to the change. In life as in business, random forces alter the course of human events in significant ways. Planned Opportunism is Govindarajan’s theory about how best to prepare for and respond to chance. The theory is rooted in the Hindu principle of karma, which holds that a person’s destiny is a function of two things: their work and uncontrollable events. “Hinduism says to take responsibility for your outcome by focusing on your own efforts, not on the things you can’t control,” he says. What karma doesn’t provide is a direction for our efforts, and this is where Govindarajan fills in the gaps. These are the steps he recommends. This is the planning you can do. The more you are sure of yourself, the more you can take advantage of random events to achieve your ambitions." For his best-selling book Superbosses, Finkelstein spent 10 years interviewing visionary leaders who helped create some of the most talented people in their industries. The best bosses are more than bosses, they are mentors and talent cultivators. During his 250 interviews of exceptional leaders like Larry Ellison, Ralph Lauren, and Alice Waters, SYDNEY FINKELSTEIN saw an overarching pattern: they didn’t just run companies or organizations, they created talent factories. They did this by following a few principles, some of which may be counterintuitive, such as accepting churn, adapting the organization to fit the talent, and recruiting for intelligence, creativity, and adaptability. If you have any desire to further your career, you want to work for a superboss. And if you have any desire to help people do their best, for the good of the organization and themselves, you want to be a superboss. Here are Finkelstein’s tips for each case. 2 Ask how your prospective boss spends her day. “You want a manager or boss who makes the time to interact with you one-on-one to teach you,” he says. 1 Evidence used to develop an idea cannot be used to test its predictive validity. 2 A good test of an idea seeks to rule out as many alternative explanations as possible. 3 A single study can refute an idea, but it can never prove an idea. 4 The more attractive the idea, the more it should be doubted. Celebrated physicist Richard Feynman said that ‘science is the belief in the ignorance of experts.' What he meant by that, I believe, is that all of us should think critically and scientifically about the evidence and ideas we hear. Celebrated physicist Richard Feynman said that “science is the belief in the ignorance of experts.” What he meant by that, I believe, is that all of us should think critically and scientifically about the evidence and ideas we hear. But how do we do that? Doesn’t it take years of training to be able to evaluate an expert’s ideas? In some areas of understanding, that is surely so, but within many “empirical” subjects, independent evaluation is within our grasp. I believe we can and should evaluate the evidence for proposed new diets, exercise programs, investment opportunities, business strategies, public policies, and even the medical advice we are given. So how do we think critically? The first step is to understand the limitations of scientific processes. Most scientists are trained, intelligent, and honest, but they still make many mistakes. Just in the last 10 years, prestigious scientists have argued that: female hurricanes kill more people than male ones; sitting near a window makes you prefer salad; standing in a “power pose” changes your hormones; and economies falter once the national debt reaches 90 percent of GDP. As of today, our best guess is that none of these claims is true. And yet we also don’t know if they’re false. Which leads to the second fact we need to understand: our use of evidence to form conclusions is inherently bounded by our need to make assumptions. These assumptions mean that we can never know anything for sure, and when used too heavily, these assumptions can lead us to false conclusions. Are there some steps we can take to better assess the empirical basis for ideas we hear? Philosophers of science have worked on the problem for centuries. I have been working on teaching materials to bring some of this thinking to Tuck Students. Here are four points I think are important. More than two decades of studying consumer choice behavior and regret aversion. Goals without implementation plans are fantasies. The shorthand way of describing Punam Anand Keller’s research interest is “social marketing.” In other words, she’s really good at understanding why people don’t make choices that are in their long-term best interests, and then designing ways to help them be better at it. That’s why organizations such as the Centers for Disease Control and the National Endowment for Financial Education have asked her to help them create and implement consumer communications initiatives that get people to, say, start exercising or saving for retirement. Keller has noticed that activities conferring benefits in the far future are easily thwarted by short-term costs. We want to be healthier, we want to be more mindful, we want to learn something new every day—whatever it is, there are hundreds of immediate excuses not to go after it. 1 Think hard about what you want, and what you're willing To do to get it. Write it down. 2 Create an explicit implementation plan, with clear steps or strategies. 3 Give yourself a fair chance at success. Goals are always hard in the beginning. Make the commitment easier by calling it a "pilot"—something you're just trying on. But also know that it will get easier over time. The Goal: Keller wanted to stay more hydrated during the day. The Obstacle: She easily forgot to drink. “I can’t remind myself to drink water; I just can’t be bothered,” she says. She didn’t have control. EESHA SHARMA’s work exists at the intersection of marketing, behavioral economics, and psychology. She’s curious about why people make certain financial decisions—to go into debt for a purchase, for instance—and how good they are at predicting their own behavior and the feelings that behavior will evoke. This research has obvious implications for marketers and managers: they can know their customers on a deeper level. But it arguably has even more benefit for consumers ourselves, because it provides insights into our oftentimes obtuse spending behavior. In two recent research papers, Sharma has homed in on some truths about our spending decisions. Here are her findings and how they can help you. 1 You’re more likely to go into debt for experiential purchases than material ones. Other research has shown that experiences might make people happier than buying products, but that doesn’t take affordability into account. If you need to go into debt for a vacation, make sure you can pay off the debt quickly to avoid interest charges, and also to avoid the psychological pain of paying for something when its benefits have long receded into the past. 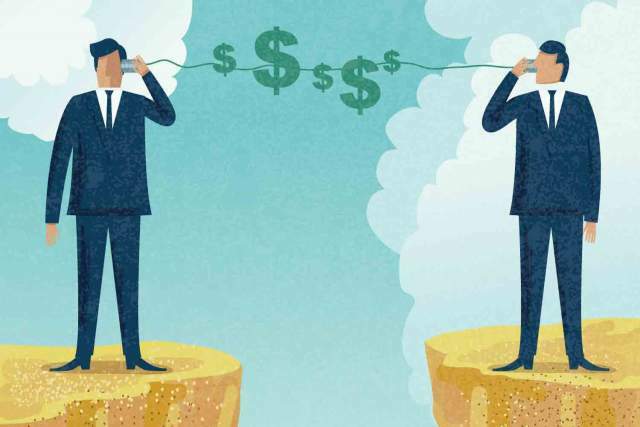 Using a combination of behavioral experiments and field studies, Sharma has published papers in top journals on topics such as how people react to perceived scarcity, and the factors that may improve or worsen consumer financial decision making. Being aware of our subconscious biases about spending can help us make better financial decisions—and be happy about them afterwards.